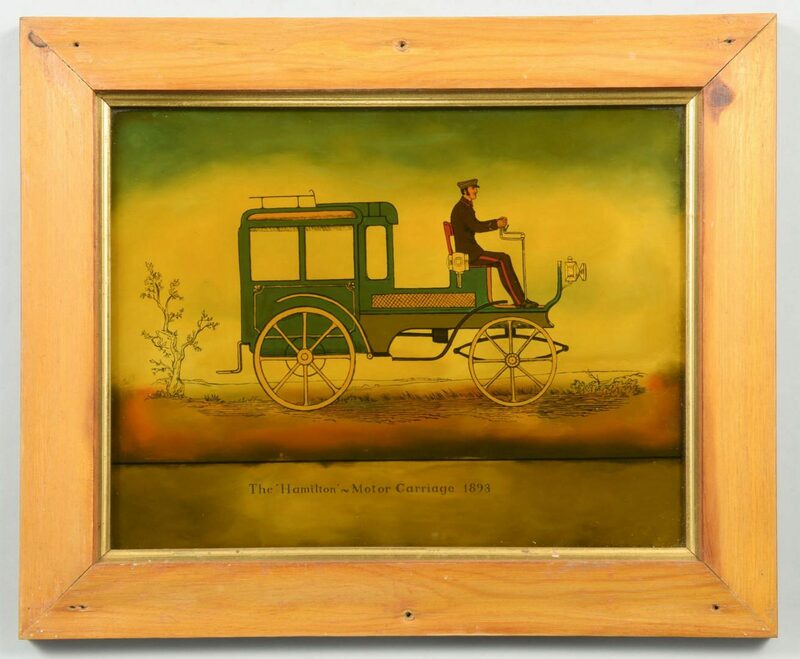 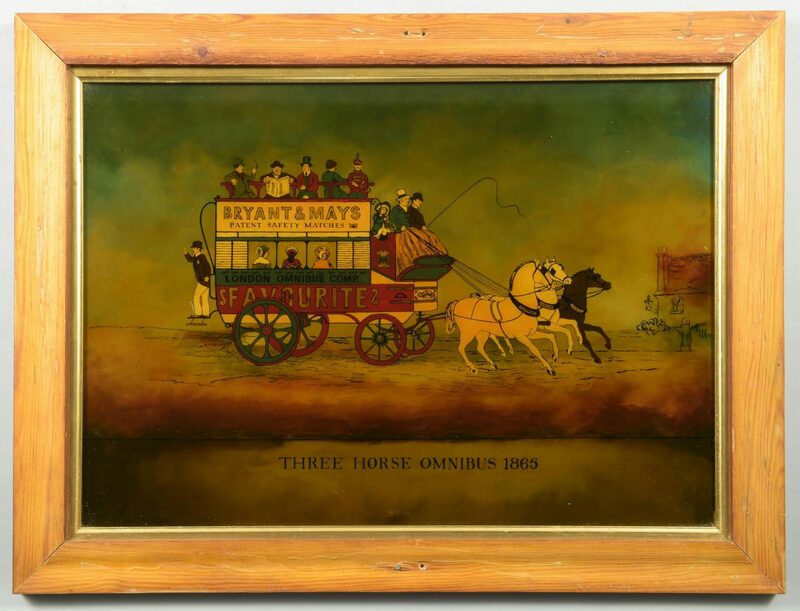 Group of 5 transportation related reverse paintings on glass, each depicting various early modes of transport including early European cars. 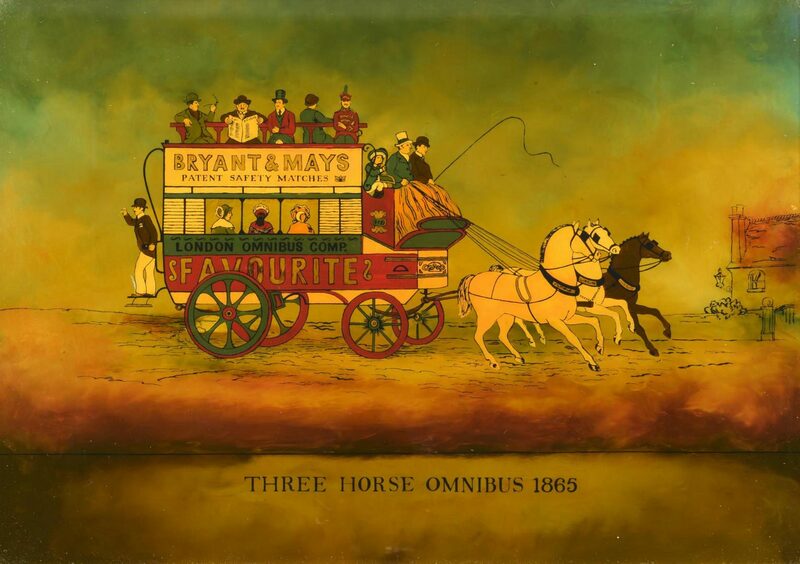 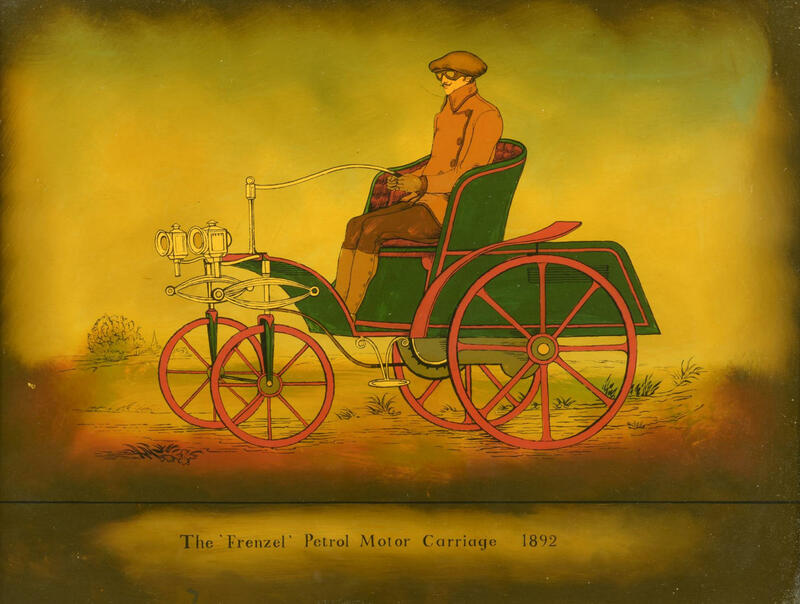 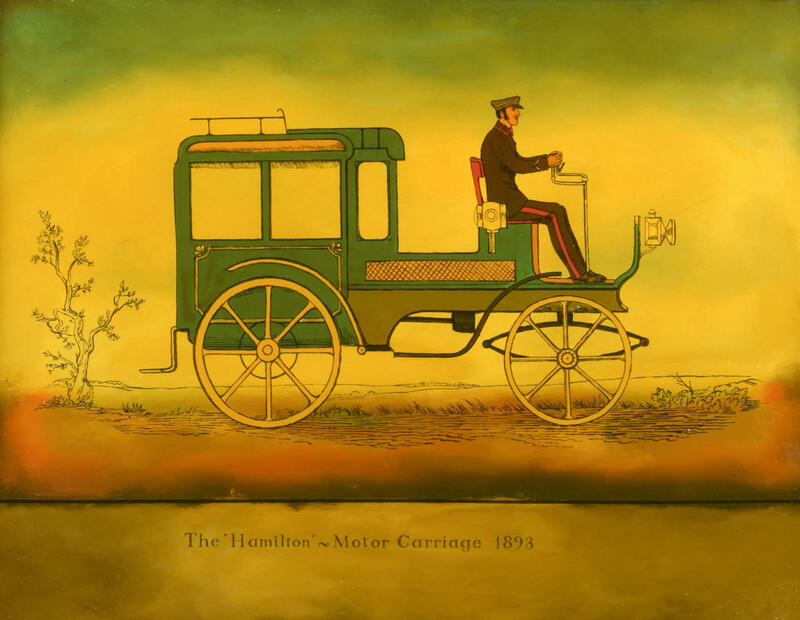 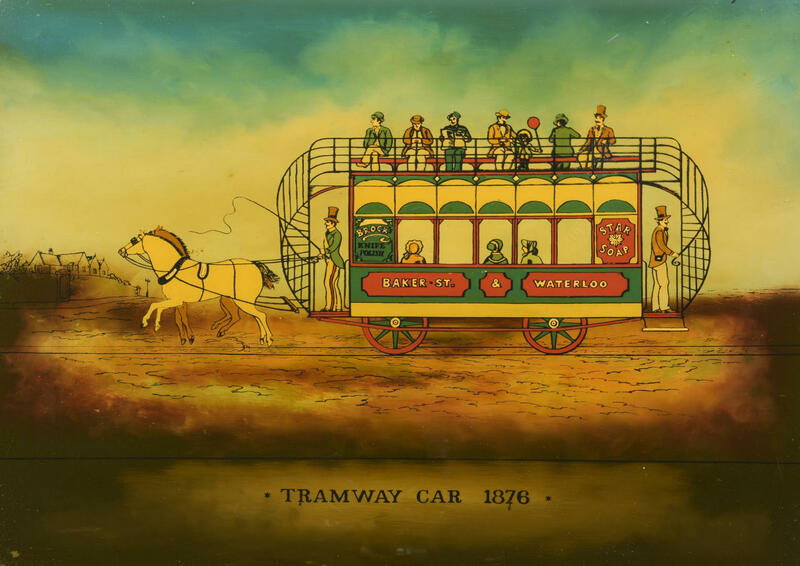 Titles include: "Tramway Car 1876"; "Three Horse Omnibus 1865"; "The Frenzel Petol Motor Carriage 1892"; "The Hamilton-Motor Carriage 1893" with "Sacklin Old Prints Sh. 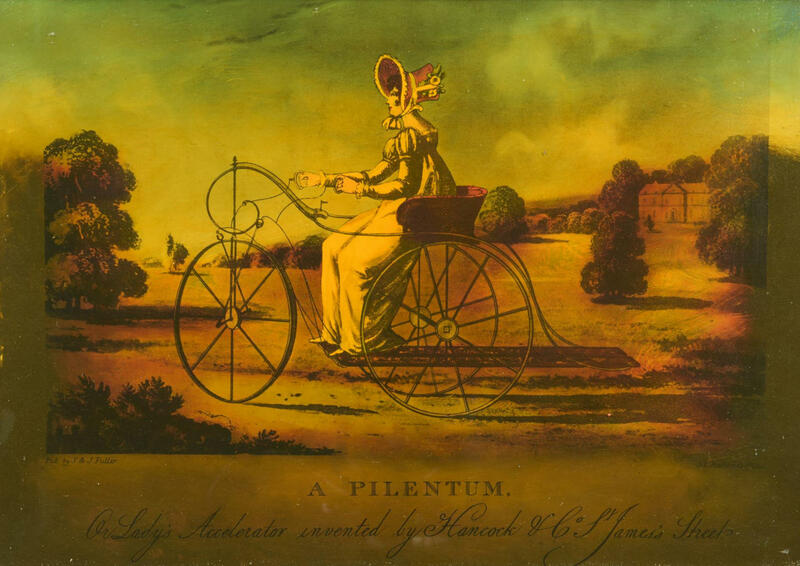 3 226" stamped to lower right edge and "A Pilentum: A Lady's Accelerator invented by Hancock & So. St. James Street" after the engraving by S & J Fuller . 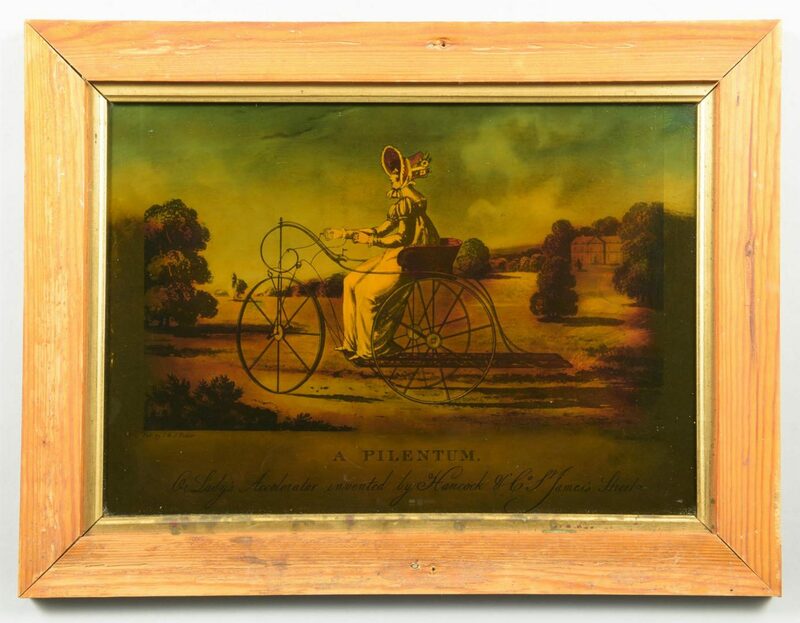 All housed in wooden frames. 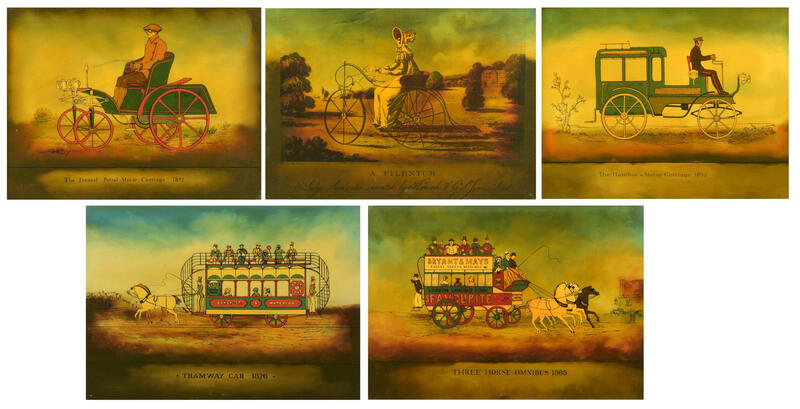 Ranging in size from Sight – 10" H x 12 7/8" W Framed – 14" H x 17" W to Sight – 14 1/4" H x 20 1/4" W to 19" H x 25" W. All early 20th century. 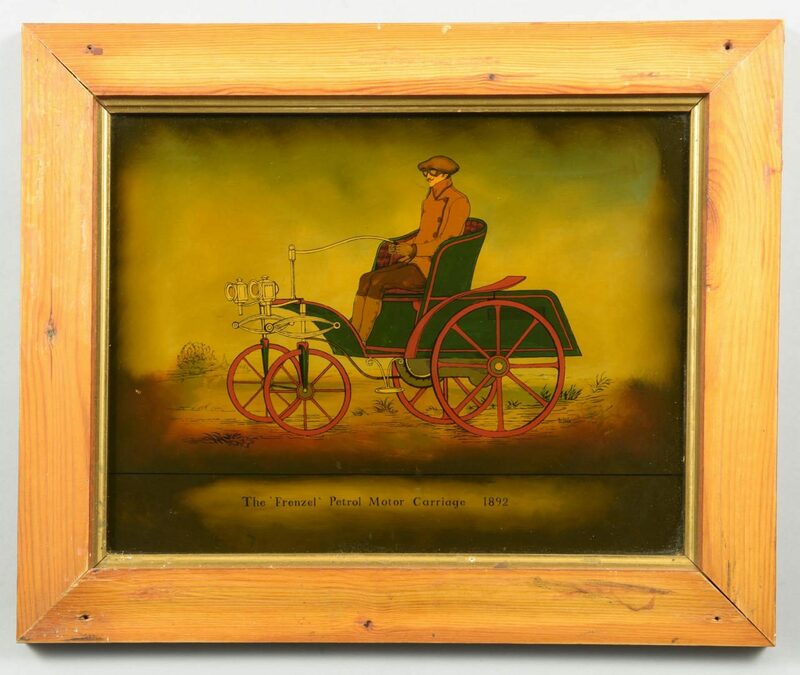 CONDITION: Some loss of paint to edges of larger examples with wear to frames. 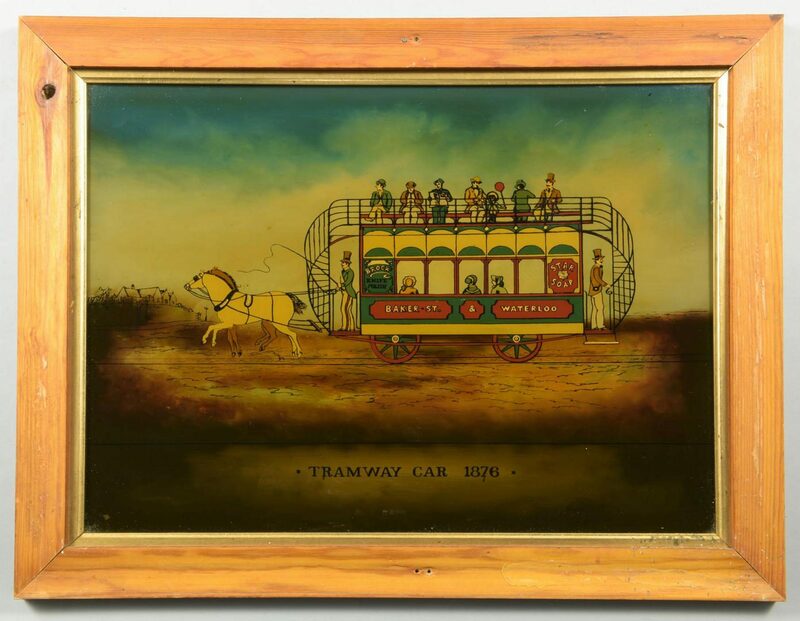 Smaller examples overall very good condition.